Fantastic tips Bev! 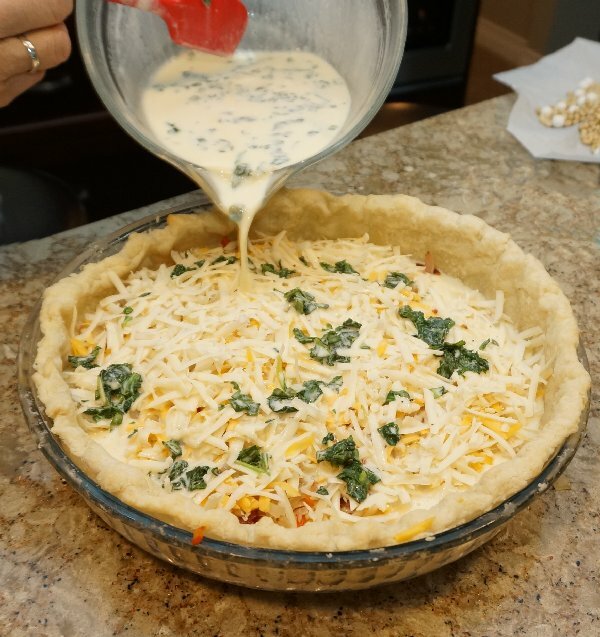 We love quiche over here and yours looks delicious! Thank you! My last one got watery and now I know it was the mushrooms! I'm making crustless and cheeseless quiches for my Dad's breakfasts. I normally use the Mediterranean Quiche posted on this site. 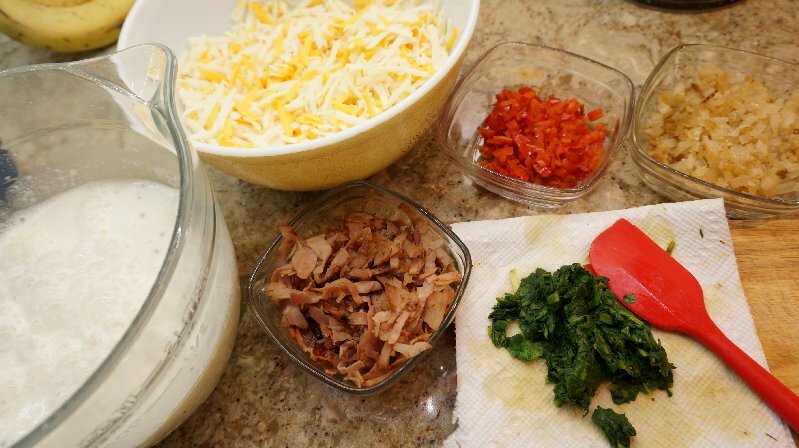 This recipe is the same, EXCEPT this one has a crust and does not have bisquick. I would be curious to try this recipe as you posted it here, but without a crust. Excellent advise. 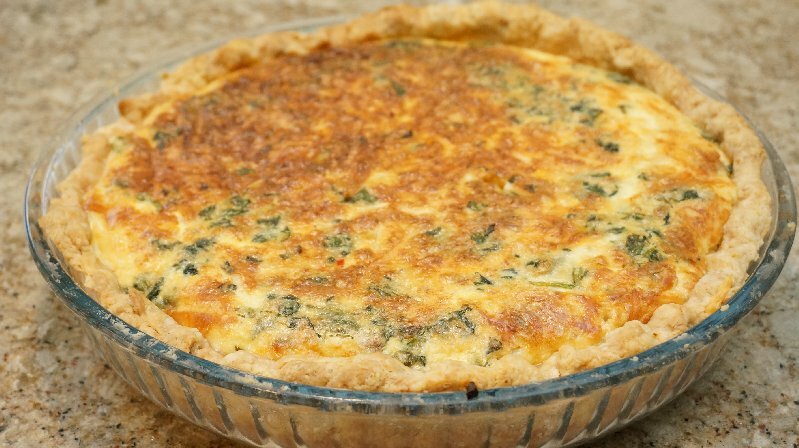 A watery quiche is so disappointing. The dry weights for blind baking make such a difference in how your pie crust finishes. 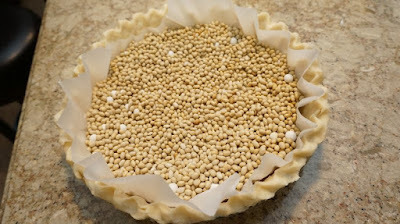 I keep a bag of beans for I used just for this purpose.he It works whether using homemade pie crust or pie crust from the frozen food section of the grocery. Just be sure to follow the directions on the frozen pie crust package. 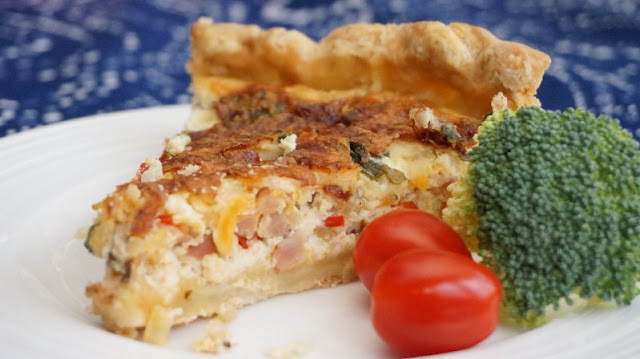 I was wanting to know if you would still add the Worchestershire Sauce to your eggs if the quiche had salty ingredients like bacon (i.e., quiche Lorraine) or ham. Do you think it would result in the finished quiche being too salty or would you reduce the amount of Worchestershire sauce? Thanks for another helpful post. Thanks, Bev, these are great tips. Thanks too for the clear photos, as they help explain exactly how to do it. adding a T of flour helps to bind the ingredients too.